More, more, more. That is one of Aida’s favorite signs. And I have been hearing it from you too. So here it is. Still want that personal touch of scheduling through me? No problem. You can still email, call or text me at 802-233-0600 to schedule an appointment. Expanded office hours! Appointments are now available Tuesday, Thursday, and Friday from 9:30a to 4:30p. Starting August 15, I will be seeing clients on alternating Thursdays. I plan to be working Thursdays full time in the fall. 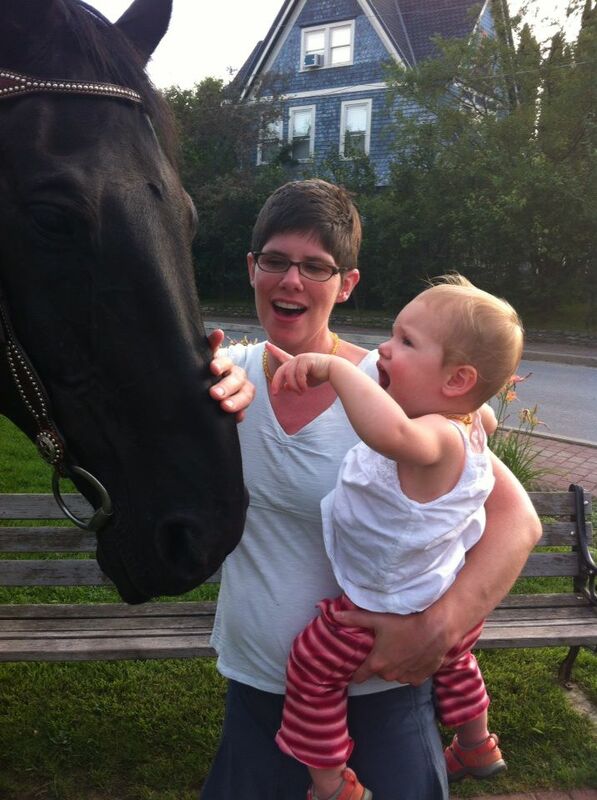 Aida meeting her first horse, Blackjack, in Stowe. This entry was posted in Stillpoint and tagged online scheduling, schedule appointment, Stillpoint. Bookmark the permalink.